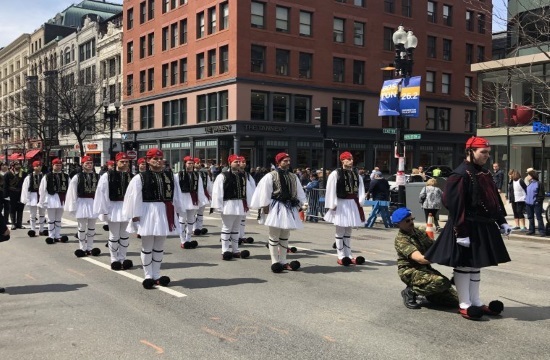 BOSTON – Boston’s Greek Parade celebrating Greek Independence took place on Sunday, April 7. Dimitris Avramopoulos, European Union Commissioner for Migration, Home Affairs and Citizenship, is the Grand Marshal. The Federation of Hellenic-American Societies of New England is in charge of the parade’s organization in collaboration with the Greek Orthodox Metropolis of Boston and the Consulate General of Greece in Boston.